I love tea. 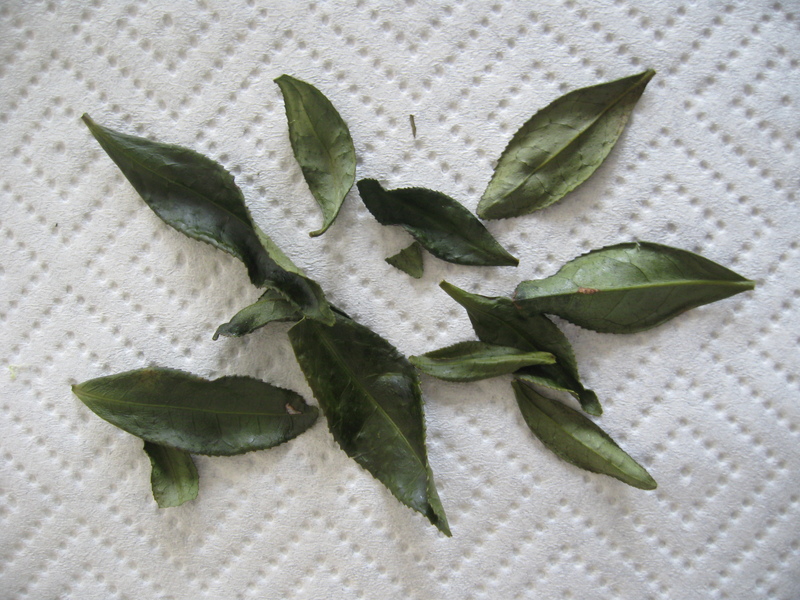 These leaves were picked fresh from my tea plant in the garden. 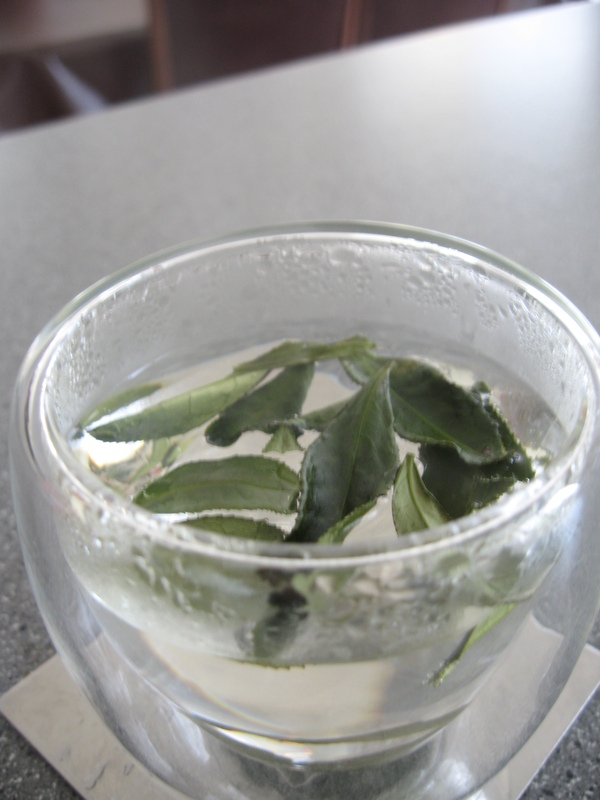 For those of you who don’t know, tea comes from the Camellia Sinensis plant. 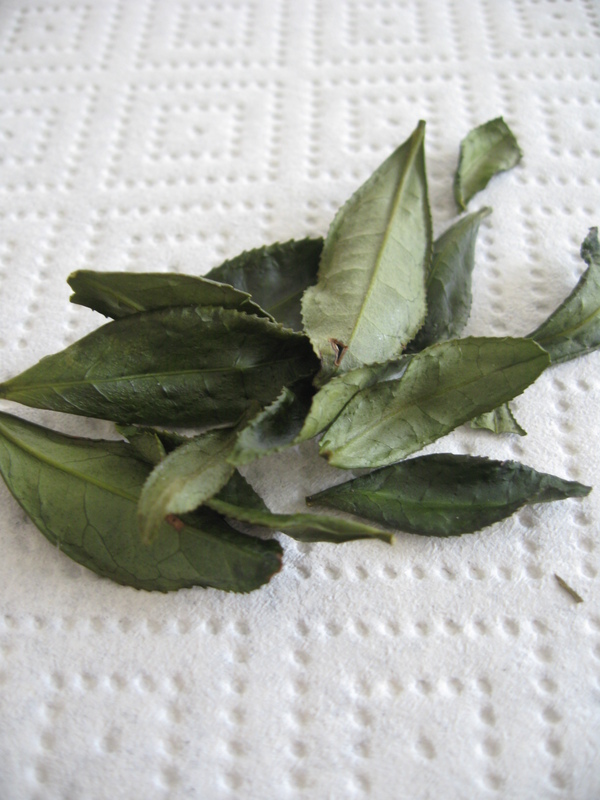 These leaves were steamed immediately after picking for about 2 minutes to stop any enzymic activity from oxidising them. They were then air dried overnight until they were brittle and crisp. I brewed them in 80 degree celsius water for about 4 minutes. I have to say the taste was very subtle but distinct. If there were more leaves it would have been more pronounced. Overall, I was quite happy with the outcome. I will definitely try it again once the plant grows bigger!